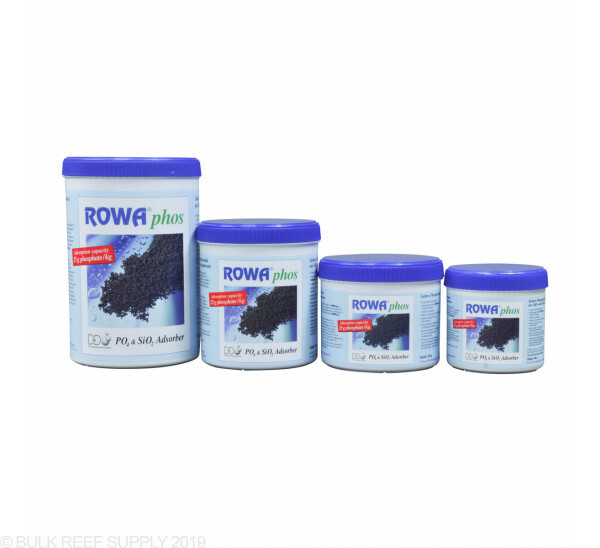 Remove phosphates from your reef tank with patented, man-made ferric hydroxide from RowaPhos. Phosphate removal in a reef tank is important because nuisance algae is fed by phosphates. This algae can overrun your expensive corals spoiling the aesthetics of the tank. Additionally, high phosphate levels can reduce the growth of coral skeletons. 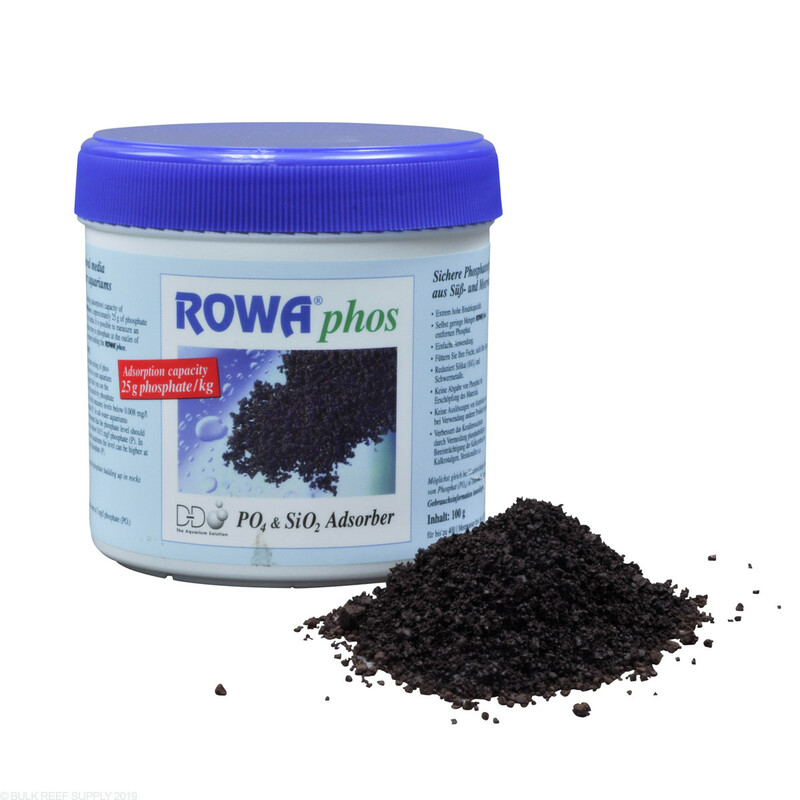 RowaPhos was developed in Germany for treating main water supplies. 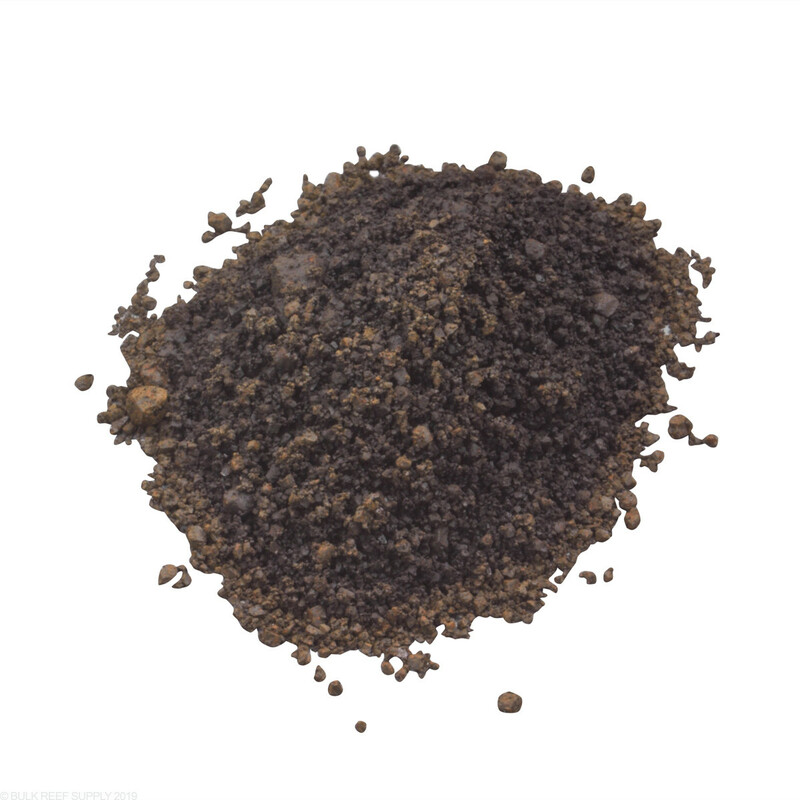 RowaPhos is a patented, man made ferric hydroxide material chemically engineered for the efficient removal of phosphates, arsenic and silicates from fresh and saltwater. 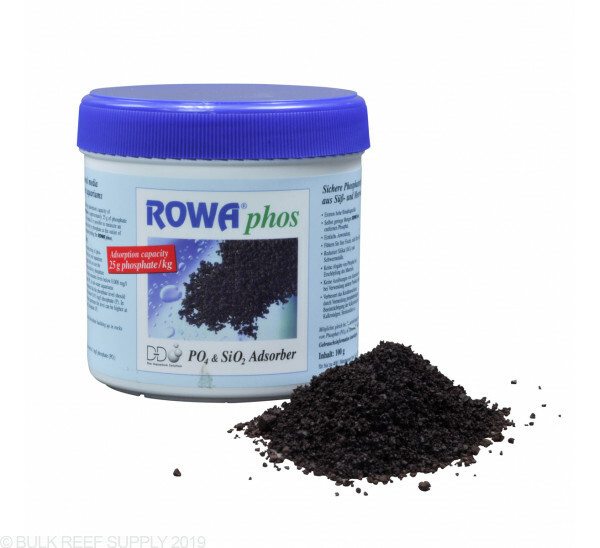 In my 10+ years of keeping reef tanks I've tried many phosphate removers but would always come back to using Rowaphos. It brings phosphate level to 0 in a matter of days! Don't rinse it! The liquid that is produced when you first use it will help with phosphate and silicate. 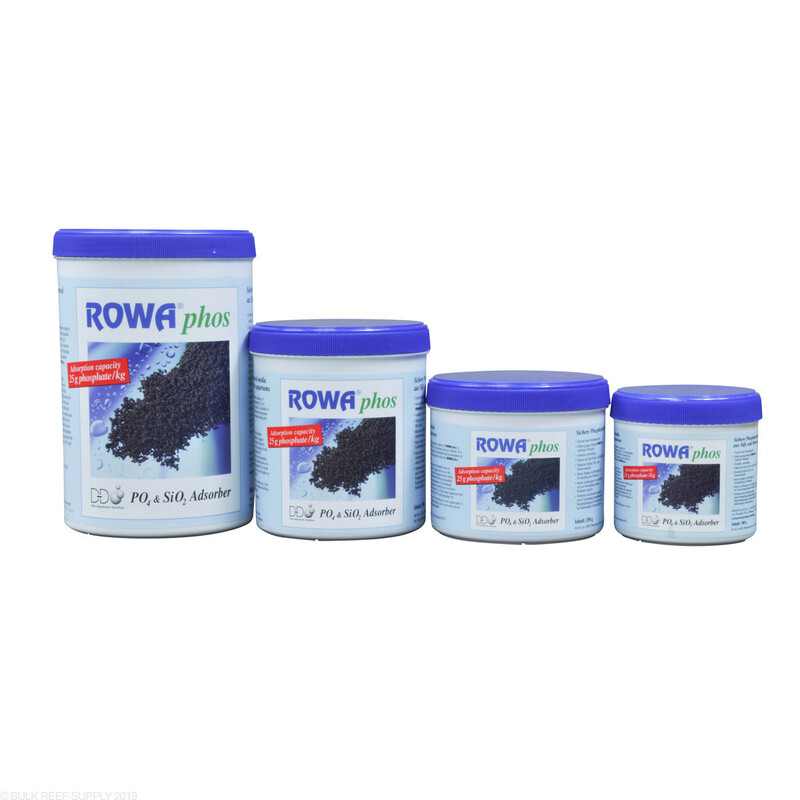 I've used just about every GFO product out there and nothing compares to Rowa. Great product and works very well. Was running another product and have had much better results with this. I allow about 1/2 gallon of runnoff with media change to strain out the issual residue. Running in reactor. Started with .25 level and within one month results are .01. Was running rowaphos at a slight tumble, wasn't getting results so I opened ball valve up a little so I didn't have any dead spots in media and bam....phosphate levels dropped to .01.
great stuff brought my phosphates down within 3 weeks of use. Since i have a new tank and it's settling in, i was faced with a rapid green hair algea bloom. all the while i still had diatoms galore after 8 months. I bought some live stock to help but was losing the battle. As i did more research i found out that my cause was high phosphate. sure enough my levels were high. 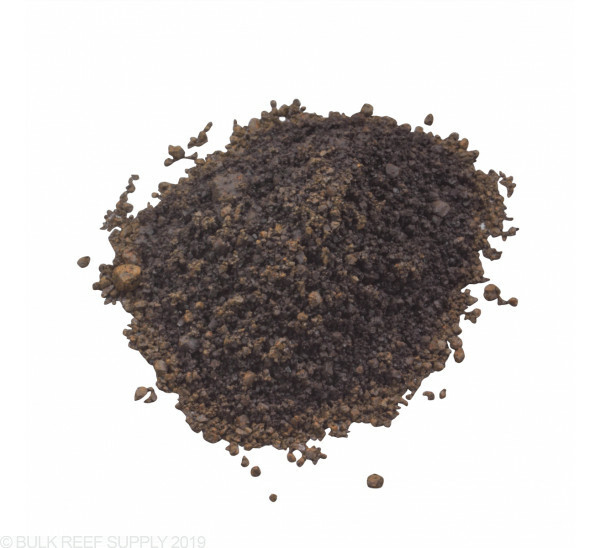 So i purchased a reactor and put BRS Bulk GFO Granular Ferric Oxide. I lowered the phosphates successfully to 0.02 and holding. The green hair algea is slowly dying off however my diatoms are blooming. I switched to this products are diatoms are indication that there is a high level of silicates. I've been using it for about 1 week now, and i have noticed a drastic reduction of silicates and my phosphates are at 0.01! Deciding to run phosphate remover was one of the best decisions I made when setting up a reef tank. Rowaphos works well and lasts for a couple of months before it needs to be replaced. I know the product says not to rinse it, but I would never run this without rinsing it. The best way to change media is to combine it with a water change. If you don't rinse the media, you'll blow red particles all around the tank. Soft corals seem especially sensitive to it and will shrink up for a day. i went from phos of .5 to .2 in 18 hrs!! Hi i just started using this product seems like pretty good stuff, i am measuring 0.07 is that considered good enough, i only keeping fish and soft corals, if i keep using it will it go down to zero eventually, also how much should i use for a 30 gallon tank instructions are a little vague, and when would you reccomend changing it out every 2 weeks?? do hard corals need absolute zero phosphate to survive? thanks for your help..
Keep using it and let it go as low as it can. Phosphates usually aren't limiting to micro algae until they get below .03, so that is generally the target number but even lower is better as phosphates have other negative side effects such as slowing coral skeleton growth, though in most cases the phosphate itself isn't toxic so much as it has a lot of undesirable side effects (like being algae food). Can this be mixed with carbon in a media reactor? It can be mixed with your choice of carbon in a media reactor. More than likely the carbon will become exhausted before the Rowaphos does, and you may not want to use a whole dose of Rowaphos since you may need to change it more often. Does this come in a bag of some kind? It comes in a small plastic container. Its best run in a fluidized bed reactor or at the very least you would want to put it in a filter sock. This will use around 300 mL of Rowaphos. Feel free to let us know if you have any further questions! Does this product also remove nitrates ? I'm going to be using this in a felt filter sock. What micron size would keep the product from getting through? And would it be ok to put it in the same sock that my overflow runs into, or should it be separate? I currently use a 200 micron 4x14 INSIDE of a 100 micron 7x16 drawstring setup, as it's a custom made sump. So there would be no issues of it flowing out the top of the socks. FOWLR, but keep Chaeto in the sump as well. This can work with standard media bags 500 micron and even higher without issue. It can work and not escape in a felt bag perfectly. Ideally GFO should tumble for best performance. Feel free to let us know if you have any further questions!